Srinagar, Jan 18 (KNS): Water is a basic necessity of life. Without water life is hell. The Public Health Engineering (PHE) department had made life hell for a dozen of villages in Langate area of north Kashmir’s Kupwara district. These villages are facing acute shortage of drinking water in this harshest phase of winter making the life of locals more miserable. 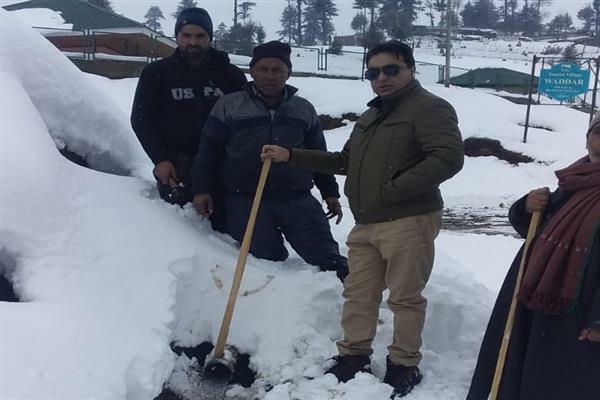 However the concerned department blamed the rupturing and freezing of pipelines due to chilly cold for the shortage of drinking water. The administration of the day has miserably failed to provide the much basic necessity of life to a large populace of around 10000 people. The villagers told a KNS team upon a visit to the area that the acute water scarcity has hit their villages from past two weeks while the officials are paying no heed over their sufferings.“We approached to the higher ups in this regard but unfortunately all in vein. All the assurances given by the officials proved hoax,” the residents according to the KNS correspondent said.